The Ogólnopolskie Wiosenne Spotkania z Informatyką Śledczą event (engl. 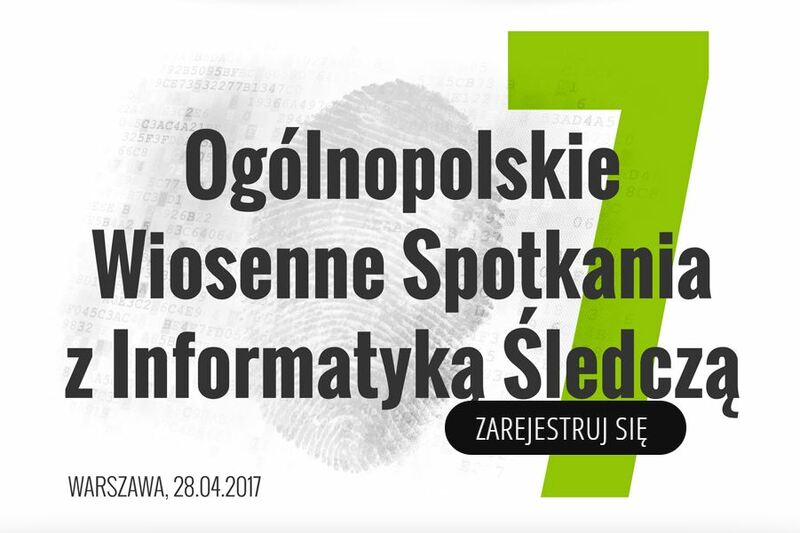 The Polish Spring Session with Computer Forensics) held in Warszawa, on April 28, 2017, is dedicated to Polish law enforcement units and independent specialists, analysts, and IT security personnel using forensic tools. This year the event will focus on topics related to the establishment of computer forensics laboratories, data extraction in the cloud, new solutions against cybercrime and the effectiveness of forensic analysis for mobile devices. Marcin Grzywacz from Amped Software will be presenting a seminar entitled: Wyznaczanie standardów technik śledczych dla obrazów i nagrań wideo (engl. Setting the Standard for Image and Video Forensics) from 12:20 – 13:00. This entry was posted in Announcements, Events on April 24, 2017 by Darlene Alvar.